The impact of an enforced move on the lives of ordinary Dorset people in the 18th century - exploring the archives. Milton Abbas Local History Group have begun a large project on the community and social history of the Old Town of Milton Abbas. We know that the old town of Middleton had been in existence from the foundation of the monastery in 934 and was once one of the largest towns in Dorset. It became a hub of the road network until all was swept away by Lord Milton and Capability Brown in the 1770s, leaving the new village of Milton Abbas an isolated rural community well off the beaten track. In fact, this was the largest wholesale move of a community in the 18th century, with 150 houses and three inns being demolished, and the roads diverted. What these 18th-century changes meant to the ordinary people is a mystery, nor do we know who moved into the new village or who left the area. The whole episode must have been traumatic for the community. It is probable that the yeoman class left Middleton for good, and the new village was just for the estate workers, resulting in a complete change of its social structure. To create a social history of the old town of Middleton by researching the lives of ordinary people. This is a unique project and we cannot find any examples published of a similar rural village. The results will be published as booklets, presentations and exhibitions. There are many threads which need to be researched, including family history, wills, Churchwardens Accounts, Overseers of the Poor Accounts, baptisms, marriages, deaths, 18th-century social changes, pests, plagues, agricultural improvements, religion, education, etc. We have access to an archive in a private collection which includes the Overseers of the Poor Books 1771 - 1834. There is also a good run of documents for this period for Milton Abbas at the Dorset History Centre, including settlement and removal orders, Quarter Sessions, leases, maps, surveys, plans, Churchwardens, Church Registers, wills. We have a core team of enthusiastic people who have already identified a large number of sources of original material which will unlock this history. There is certainly much work to be done in researching, transcribing and writing up. We would like lots of people across Dorset or elsewhere to help, share and join in our fascinating work as we look at a thriving market town that turned into a rural village. What makes this project different is that it will focus on the lives of the ordinary people, who tend to leave less of a record than the landowners. We have the facilities for research and for the publication and exhibition of our findings. 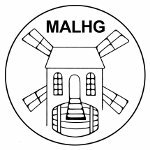 We have an initial core of volunteers from Milton Abbas but anyone interested in this fascinating social history project can join us. Family historians are especially welcome. To investigate and record the history of the people, buildings and landscape within the Milton Abbas parish. To record sources and produce a bibliography of information on the Parish of Milton Abbas, its people, places, institutions and communities. We were very fortunate to view Chris Fookes' archive on a fine summer's evening with food and drinks and a convivial atmosphere, thanks to the generosity and hard work of Ann and Chris. Over 50 people were entertained by the collection which Chris has built up. Many remembered fondly the museum which he ran first at the brewery Milton Abbas and later at Park Farm. Thank goodness he has kept all the material which provides such a valuable resource for the Milton Abbas Local History Group. It was fantastic to meet so many people with an interest in our local history. The archive certainly stimulated a lot of interest, and we look forward to new members joining us at the first meeting of the new season on Wed 7 October after a well earned summer break. It could be a packed meeting because we have 27 members already and more wishing to join! On another matter - our searches have hit a blind spot on enclosure acts, tithes, and Damer - so if any of our readers have any information on these we would be mighty grateful - please get in touch with the web master..
Our History Group are involved in much research work but we need more help. If there are any of our readers who have some spare time, are computer literate and would be willing to help we would love to hear from you Training given if required. 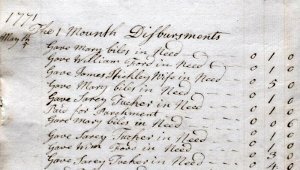 Has anyone information on tithes in Milton Abbas? We have searched in the Dorset History Centre and there is no tithe map or tithe apportionment or tithe commutation. Nor can we find any enclosure acts or requsests in the Dorset Quarter Sessions. Please get in touch with the webmaster if you can help."